Studying Latin, a highly organized and logical language, much like studying math, sharpens the mind, cultivates mental alertness, creates keener attention to detail, develops critical thinking, and enhances problem solving abilities. Since about two thirds of English words are derived from Latin, studying Latin provides invaluable insights into English vocabulary, the structure and meaning of English words, especially of longer and more complicated ones. Studying Latin, the quintessential language of oratory, affects positively the way we create discourse in English and helps us to express ourselves with more effectiveness and confidence. Learning Latin is also particularly beneficial for people who intend to study law, given the numerous Latin terms and phrases in legal discourse. Studying Latin, with its highly organized grammar, makes us coordinate ideas, reflect on the various ways to say the same thing, and thus to write and speak better in English. 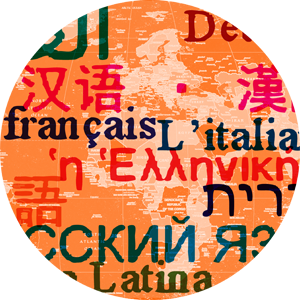 Latin provides a key to the Romance languages, Spanish, French, Italian, Portuguese etc. Latin is the universal language of western civilization. Actually, Latin provides the blueprint for any language we may be learning later in life: German, Russian, Chinese, or any other one. Since medical terminology, mostly derived directly from Latin, is essential for everything in the medical field, learning Latin is extremely valuable for those who intend to become doctors and other health professionals. Latin is the language in which the most sophisticated thoughts of the western world were expressed, and studying it allows learners to get a better grasp of their own present and thus gain a more profound understanding of manifold aspects of our lives and culture. Furthermore, Latin is all around us. Look at your dollar bill. Think of a president’s veto. Consider how often we use the expressions AM and PM. Bachelor, Master, Dean – all these come from Latin. Expressions like Et tu Brute also cannot be understood without their Latin context. Studying Latin leads to an increase in scores on standardized tests, such as the GRE. Studying Latin and Classics in general can boost the chances for a successful medical school application: “According to Association of American Medical Colleges, students who major or double-major in Classics have a better success rate getting into medical school than do students who concentrate solely in biology, microbiology, and other branches of science” (Princeton Review). Just two examples of people who have studied Latin and have achieved great success in today’s world: J.K. Rowling, the author of the Harry Potter series, and Facebook creator Mark Zuckerberg. For some really useful resources, visit this site!